Stainless steel is a generic name for several different steels that all are a minimum of 10.5% chromium by mass. And while steel storage tanks can be used across countless different industry sectors, their main uses involve holding three categories of materials. Let’s take a look at the three main uses for stainless steel storage tanks across the country. First, it should come as no surprise that stainless steel storage tanks are frequently used to carry and transport water. In fact, steel itself has been used to store and transport water for more than 150 years. This is virtually a universal application because it is used so widely out of necessity in industries including agriculture, manufacturing, irrigation, fire protection services, and more. All of these industries require having a huge amount of water available at just a moment’s notice, and stainless steel tanks are among the healthiest and most efficient way to do so due to lack of corrosion and extreme durability of the material. Stainless steel chemical tanks, as their name implies, hold all different types of chemicals and chemical mixtures. Chemical holding tanks are most frequently used to resist corrosion and protect against spills that other materials may cause with just a simple puncture. Stainless steel can withstand a huge variety of environmental conditions, ensuring maximum protection against leakage and the hazardous safety conditions that result from such spills. 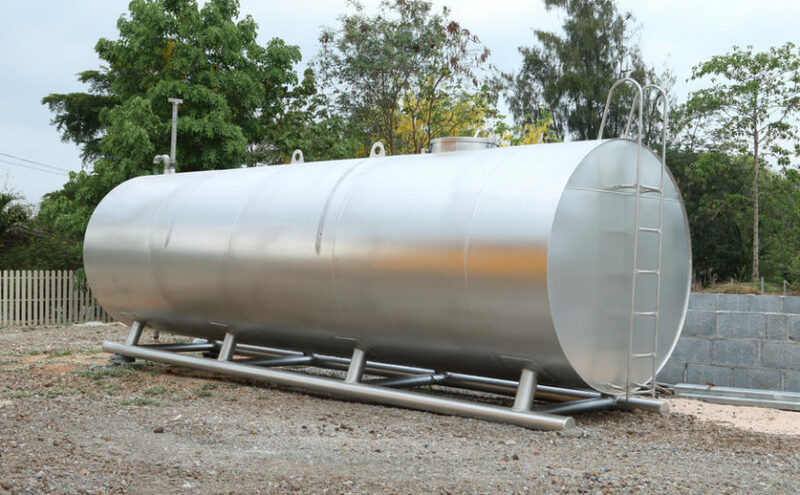 Finally, countless businesses within the agriculture industry frequently take advantage of stainless steel chemical tanks for purposes that involve improving feeding efficiency for cattle and livestock. Once again, since stainless steel won’t corrode, dissolve, chip away, or contaminate contents in any way, it’s by far the best way to store livestock feed, which is essential for prolonged health as well as safety for animals. In the long run, this helps to increase cash flow through minimized waste. Carbon steel, stainless steel, aluminum, and copper are four of the most common types of metal used in the U.S. construction industry, but when it comes to holding the critical supplies listed above, only stainless steel can hold up to the challenge. For more information about stainless steel coil pipes, contact Central Fabricators.